Elson & Company specializes in fine handcrafted custom designed carpets and dhurries made in India. Founded by Diane Elson Bankoff in 1997, the company has made its mark in the design world as the go-to resource when in need of forward thinking patterns with high style. 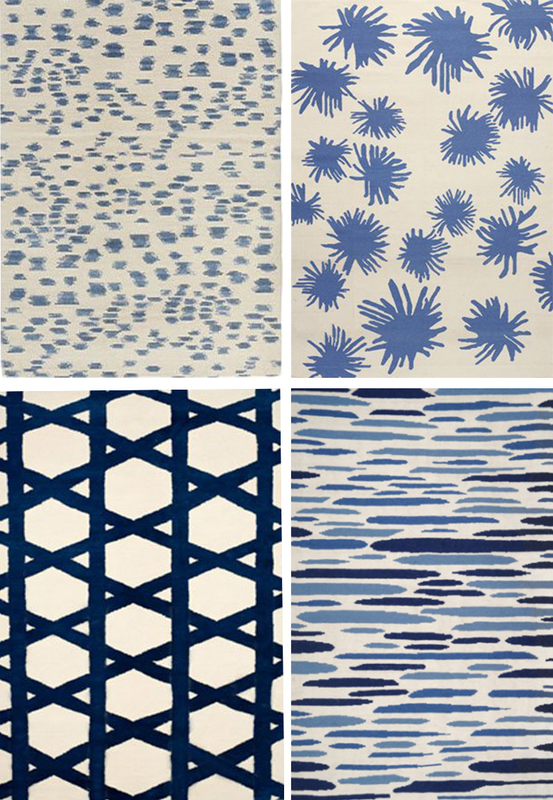 These noted carpet collections are the result of collaborations with some of today's top designers -- featured below are selections from Oscar de la Renta, Hable Construction, Carleton Varney, and Lulu DK. 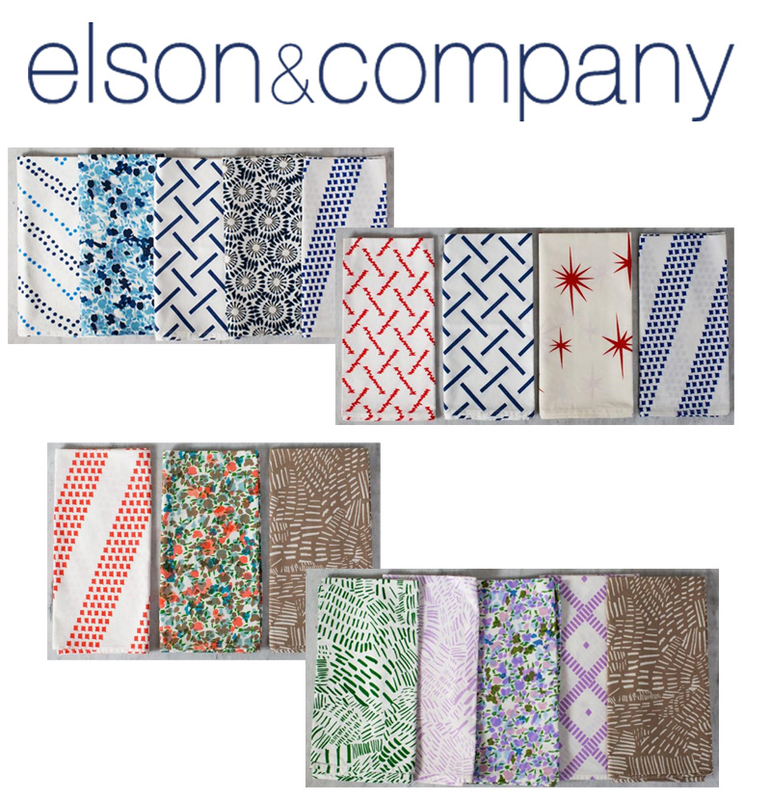 Most recently, Elson & Company has launched a table top collection. Designs are inspired by Diane Elson Bankoff's travels throughout the world and the work of Atlanta based artist Sally Benedict. The 100% cotton 22" X 22" sized napkins (featured above) are hand-dyed and hand-made in India and exclusively available through the company's website.